The Arctic tundra is the coldest of all the world's ecological zones. In Russia, it is located in the northern hemisphere, above the Arctic Circle, between 60° and 80° North latitude. The climate of the Siberian tundra consists of long winters and short summers in which the growing season ranges from only fifty to sixty days. Winters can be very cold with the temperature reaching -30° to -40° Fahrenheit. Summers are cool with temperatures reaching maybe 50° Fahrenheit. The tundra is also a very windy area, with winds often blowing between 30 to 60 miles per hour. In terms of precipitation, however, the tundra is most like a desert, with average precipitation only about six to ten inches, mostly snow. 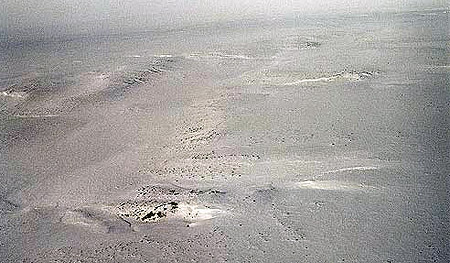 The tundra usually refers to areas where a layer of permanently frozen subsoil called permafrost exists. During the summer the ground thaws to a depth of ten inches to three feet, just above the permafrost. This allows some plants to grow and reproduce. 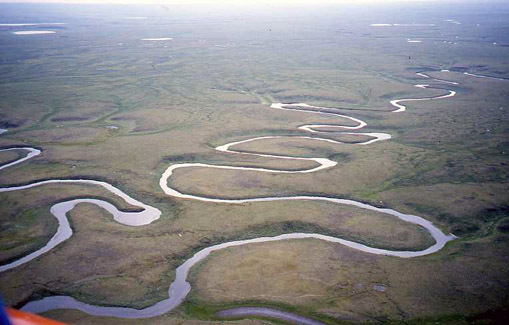 Because the water cannot drain through the permafrost in the summer, water forms small lakes and marshes. The permafrost in Russia can be as deep as 1,968 feet. 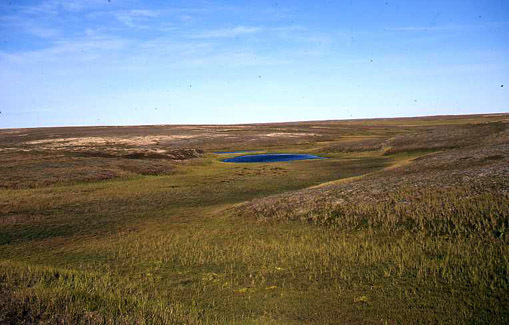 These photos of the tundra on the Yamal Peninsula (полуо́стров Яма́л) in northwestern Siberia are from Ólafur Ingólfsson.